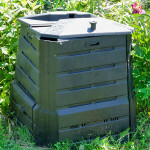 Living in tight quarters poses unique challenges for those who want to compost, but a worm composting bin is a great alternative that you can keep under the kitchen sink. Find out more on our worm composting page. What to do with meat and dairy scraps? Meaty bones and cheese scraps don’t bode especially well for composting worms, so you may want to try Bokashi, a blend of composting microorganisms that thrive on meat and dairy. 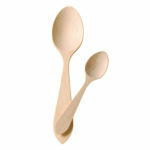 Don’t be confused by compostable utensils: they don’t belong in plastic recycling or backyard compost piles. Only place them in commercial compost bins, so they can fully break down. Find out more. 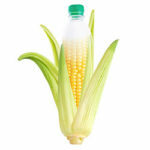 Don’t put bioplastics in your backyard pile. Commercial facilities are better at composting tough materials because they can reach higher temperatures. That’s why meats and bioplastics are accepted in commercial composting bins. Watch this video to learn more. 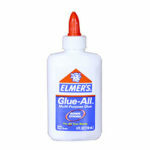 Elmer’s Glue and fingernail clippings are just two of the 71 Surprising Things That You Can Compost list at NationSwell.com. Just because it’s made of paper doesn’t mean it automatically goes in the compost. It’s better to recycle paper than to compost it, so recycle what you can first. Color paper and glossy paper may deposit toxic heavy metals into your compost, so always avoid those. Also, some to-go style products have a thin plastic coating which can be bad news for compost bins. Learn more about microplastics in compost. 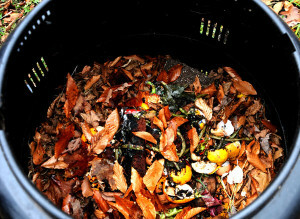 Composting food scraps: great. Preventing food waste the first place: even better. 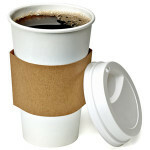 Want to know how much organic matter ends up in the average trash can? The surprising breakdown is found in this infographic from Hometown Dumpster Rental.